If you’re a regular reader of Haselden’s blog, you know that giving back to the community is important to Haselden as a company, and to the individuals that make up Team Haselden. Sometimes that giving back intertwines, and what starts out as a company effort becomes personal. Haselden has been working with the Archdiocese of Denver for well over 20 years. While working on St. John Vianney Theological Seminary, Gary Miller (the construction project manager for the Archdiocese) mentioned in passing that the Optimist Club of Monaco South that he was a member of had hit a bit of an obstacle with their Christmas tree lot. Each year they set up shop in the parking lot of the same store, however that store went out of business, and they couldn’t remain there due to insurance reasons. They had secured another location, but there was no power. And people tend to like to see a tree before they buy it! Enter David Franco and Nino Calderon from Haselden’s On-Call Division. David and Nino were the project manager and superintendent on St. John Vianney, respectively. Haselden Construction’s purpose is to fulfill our customers’ needs completely and Dave and Nino were determined to do JUST that. Working together with Vice President, Jarrod Fugate they arranged to have Haselden donate the use of a generator to supply power to the tree lot. Team Franco and Calderon also stopped by a couple times a week to make sure the generator was functioning properly. This dates back to 2013 and they’ve done it every year since. 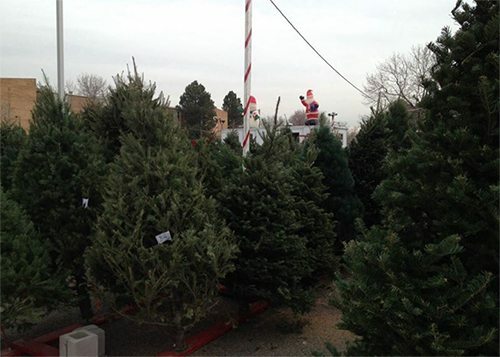 What happens with the funds raised by the Christmas tree sales? It provides the Club with the majority of their funding for the year. 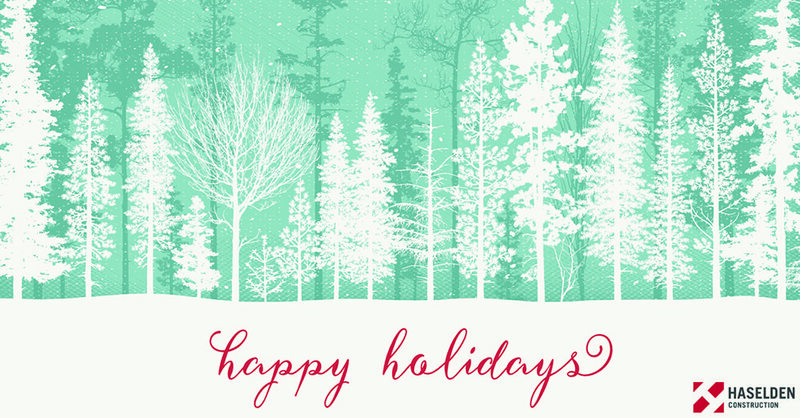 That money goes towards over 50 projects annually that benefit kids in the Denver Metro area. One of their biggest events is Thanksgiving dinner. 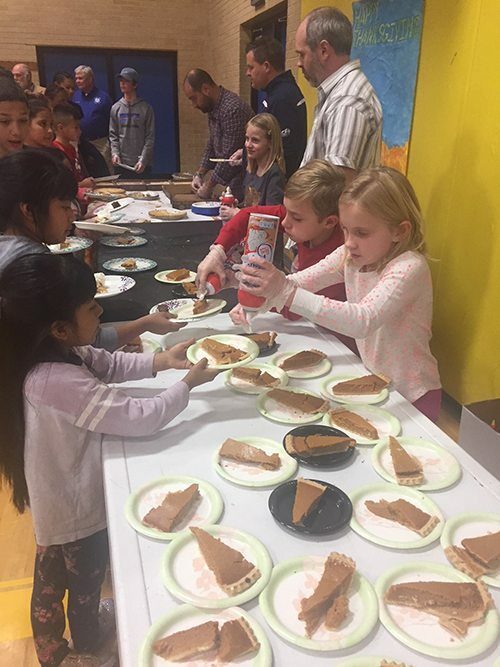 Each year on the Tuesday before Thanksgiving, they provide a professionally prepared Thanksgiving meal to between 800 – 1200 kids who are part of the Boys and Girls Club of Denver. For the last several years, David Franco, Nino Calderon, and Jarrod Fugate—and their families—have become more involved with the event and by helping serve the dinner. This is a yearly tradition for these families – one they plan to continue. Working at a company that is so willing to help others at a moment’s notice is just one of the great benefits of being part of the Haselden Construction family. Read more about our community involvement!